How do you properly acquire a plugin? I have bought an encrypted plugin. What's next? Your currently used shop domain isn't associated with your shopware account. License check for module "xxxxxx" has failed. The License Manager is only required if you wish to install plugins that require licenses. These plugins are only accessible with licenses, which you must provide via License Manager. 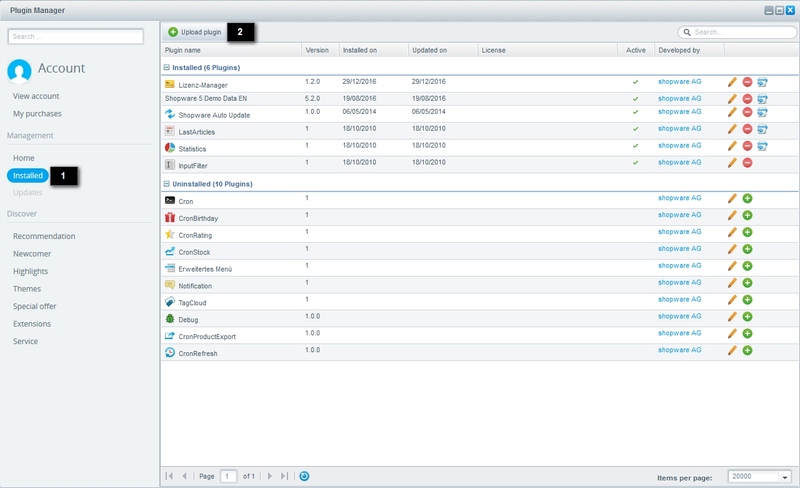 The License Manger is available for download free of charge in the Shopware Community Store. The License Manager is pre-installed with all licensed shops. After installing the plugin, clear the cache and and reload the backend. After the installation is complete, the License Manager can be called under Configuration/Basic settings/Additional settings. Description: Here you can see for which plugins the license is valid. Module: This is the name of the module. Host: This is the domain for which the license has been issued. Added on: This is the date on which the license was added to the License Manager. Created on: This is when the license was created. Expiration date: This is the date on which the license is no longer valid. License version: This indicates which version of the license you have. Active: This indicates whether the license is active or not. License: The license code must be entered here. 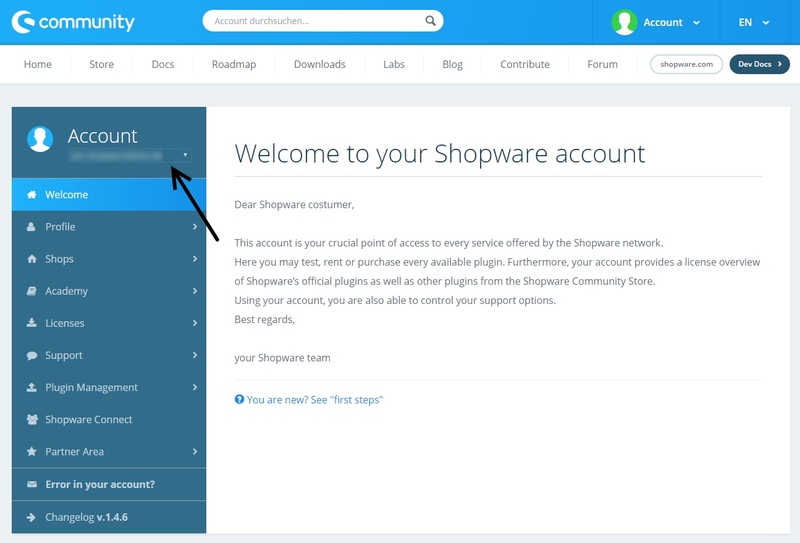 Since the release of Shopware 5.2.0 premium plugins are to be considered open source. This way and given the fact you don't plan on using 3rd party plugins, you don't need to maintain License Manager or ionCube installations anymore. This is true for subshops as well, diminishing the need for the License Manger greatly. To be clear: License Manager and ionCube are only required for 3rd party plugins, that are are still encrypted. If you still want to install the License Manager, you can do so, and we will show you how - in the following sections. As usual, it depends. The answer is primarily determined by the way you purchased the plugin. Generally there are two major ways of acquiring plugins for Shopware. 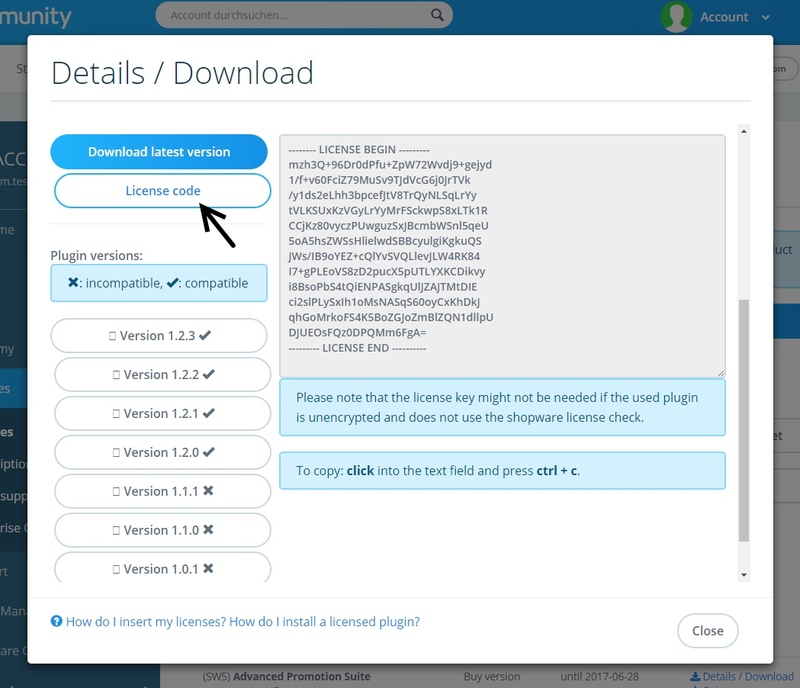 If you bought your plugin using the Plugin Manager, the license will be imported directly and you won't have to do anything else! However if you don't have the License Manager installed, Shopware will prompt you with a warning, asking whether or not you would like to install the License Manager anyways. Be aware, that without it no encrypted plugin will work at all. Import via "My purchases": After buying the plugin, it will be connected with your account. 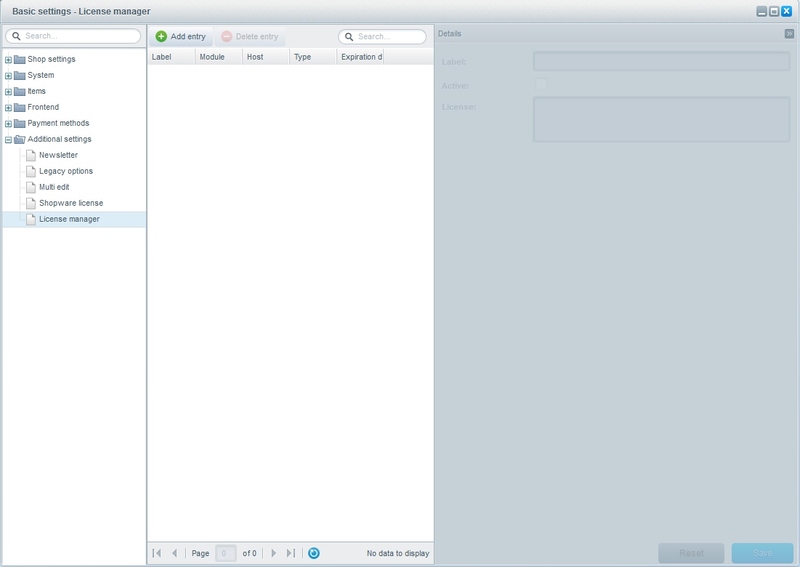 So simply open the Plugin Manager, hit up "My purchases" and look for the desired plugin. 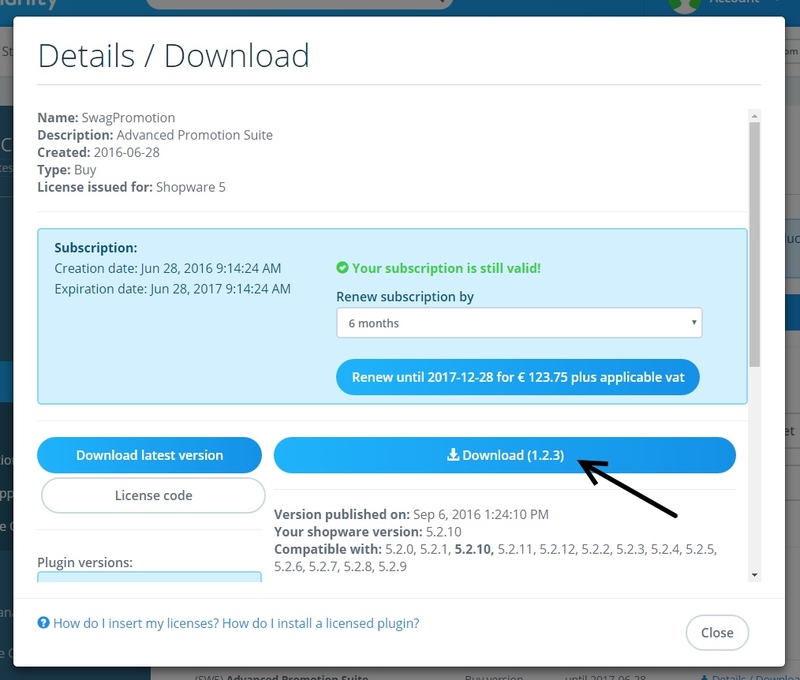 Using the action buttons on the right, you can import your license and download the plugin itself. If the License Manager isn't installed yet, you will be prompted to install it first. Import manually: First, install the License Manager plugin and activate it. Clear the cache (Ctrl + Alt + X), reload the backend and open the License Manager in the backend, to enter your plugin license, not until then can you install encrypted plugins. Install the License Manager plugin and activate it. Clear the shop cache and reload the backend. Log in to your Shopware-Account. Licenses always depend on a domain, so select the domain you bought the plugin for. In the menu, navigate to Licenses. Here you find an overview of all the plugins you purchased. Search the newly installed plugin (1) and then click on "Details / Download" (2). A window will pop up, presenting the plugin's details. Click on "license code" to request a code. Now copy this code, switch to your Shopware backend and open the License Manager via Configuration > Basic settings > Additional settings > License Manager. Here you will see all licenses ever added to your shop. Click "Add", check the Active setting and paste your license code into the designated field. Save your entry and check the license for integrity. When adding a license, you don't need to worry about a license name. The name is automatically picked and set at saving the license. Using the License Manager enables you not only to append, but also to delete licenses. In order to do so, just open the License Manager go to Configuration > Basic configuration > Additional settings > License Manager and click the "Remove" icon next to the license you want to get rid of. After a license is deleted, the plugin will stop working and cannot be installed anymore (unless a new license is issued). Installing a plugin manually is not as complicated as it may sound. 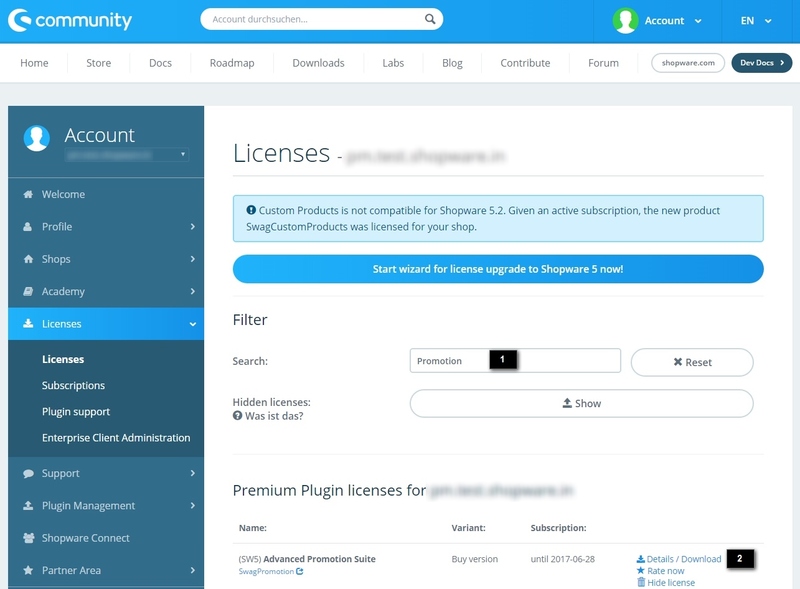 Simply search for your license as in the section "Add a new license to Shopware" and click "Details / Download". Check before downloading if your Shopware version is still valid. If not, it is possible you download a plugin version that is incompatible with your Shopware Version, potentially endangering your enterprise and all saved data! Next open the Plugin Manager, choose "Installed" and click "Upload plugin". Choose the zip file you previously downloaded and upload it to your Shop. The plugin will appear in the plugin list afterwards and can be initially found in "Uninstalled". If you do, you are now ready to ultimately install the plugin and finally put it in a usable state. This message can appear, when your license does not match your domain. So keep your domain in mind when buying plugins and when you work on your account. If you e.g. license a plugin to the domain www.mydomain.co.uk and afterwards want to install the license in a shop called mydomain.co.uk this endeavour will surely fail, as the license-domain does not match the installation domain. If this happened, feel free to contact our sales department to get your license renewed. If you get this message while installing or activating a plugin, the license for the installed plugin is missing in the License Manager. Add a valid license to avoid this message. At the installation the plugin will add database entries or tables that already exist. This error may occur, if a plugin's installation routine doesn't check for existing tables and database entries. However, if you are not sure what to do or your efforts didn't solve the problem, feel free to contact our support. This error will appear, if you try to download a plugin you already bought in the store. Technically this error can have multiple causes, practically in most cases, the license domain is not equal to the installation domain. Feel free to contact our sales department to get your license renewed.